A few years ago, I wrote a post about my favorite hotel views. 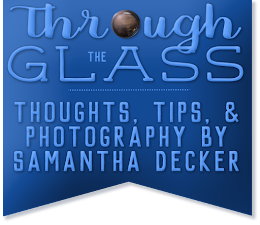 In this post I'll share my favorite hotels to photograph. I've been lucky to visit and stay at a lot of neat hotels but I narrowed it down to ten. 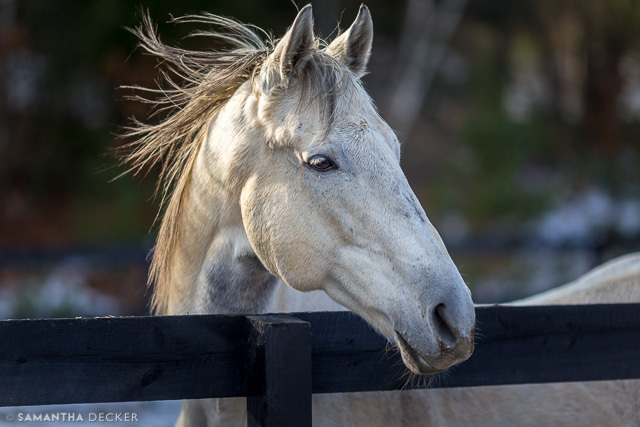 Read on to see which ones made the list. 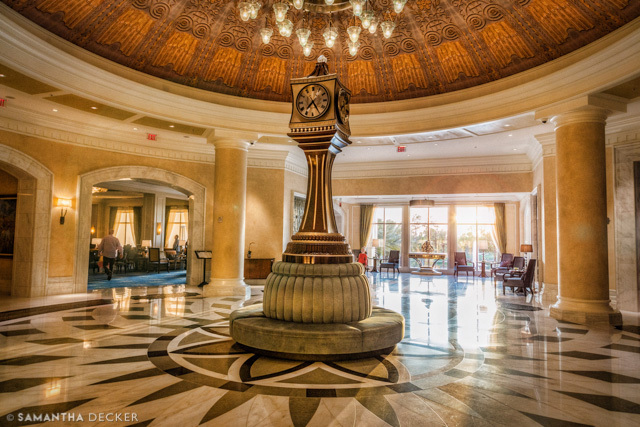 The lobby of this hotel, with its large clock in the middle, makes for a great photo. 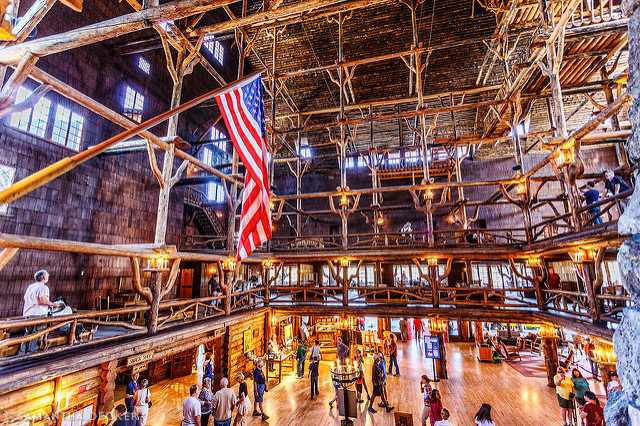 I love the rustic feel of this hotel. 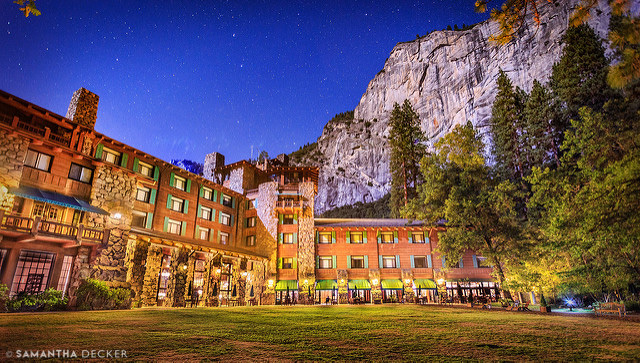 The Ahwahnee looks so beautiful in front of the mountain backdrop. 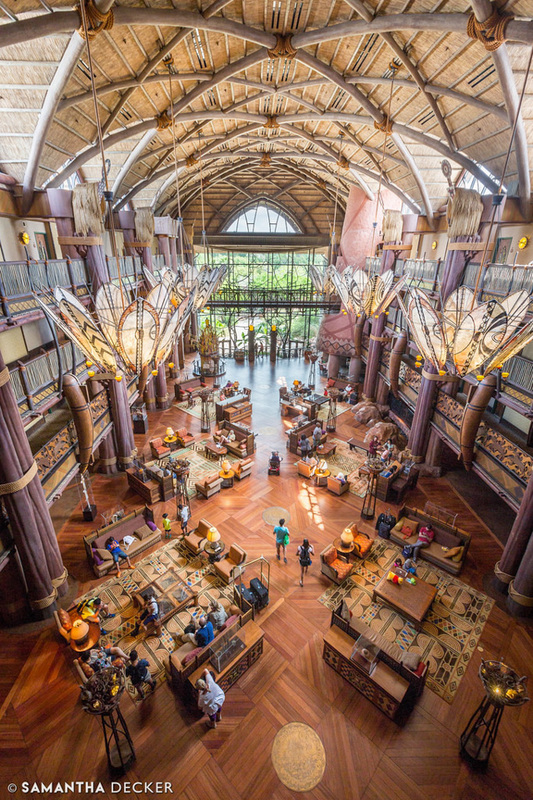 I love the African theme of the Animal Kingdom Lodge. 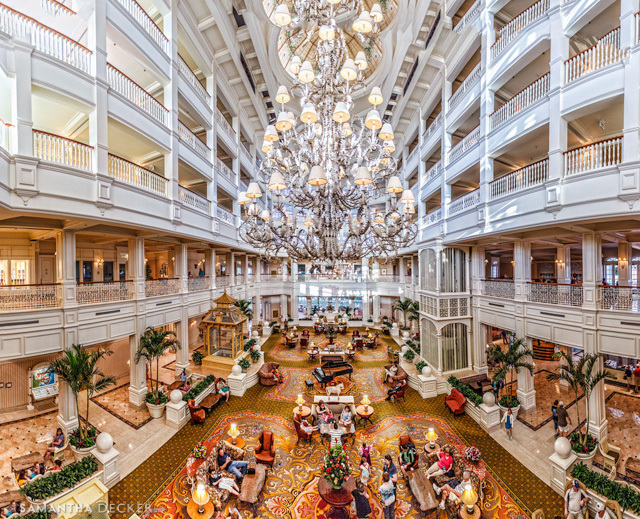 It certainly has one of the most impressive lobbies of any Disney resort. 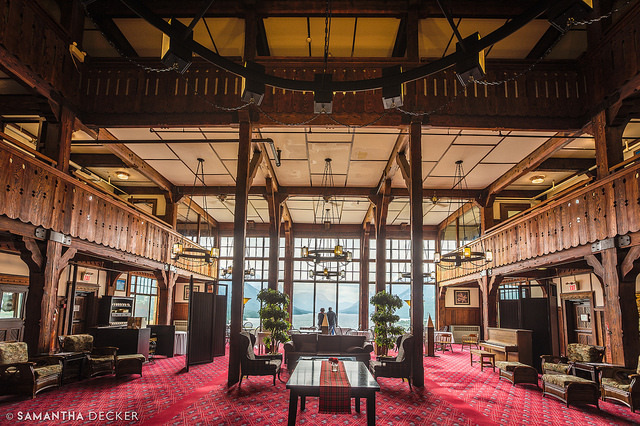 The Prince of Wales Hotel's lobby looks out onto the Upper Waterton Lake. 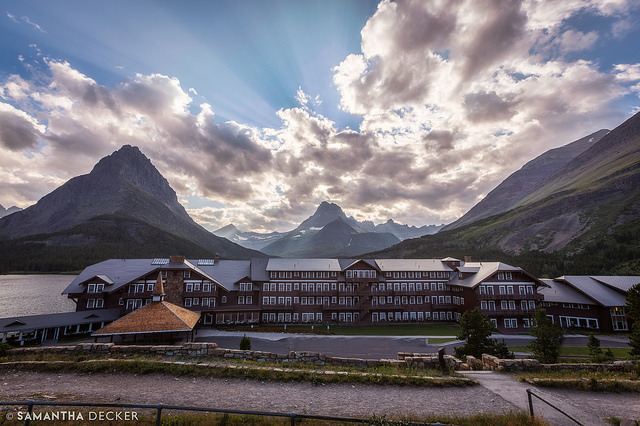 The Many Glacier Hotel was patterned after the chalets of the Swiss Alps. 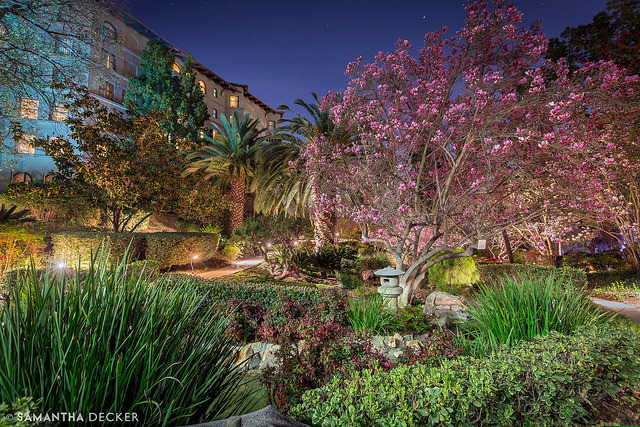 Possibly the best part of the Langham Huntington is the beautiful Japanese gardens. 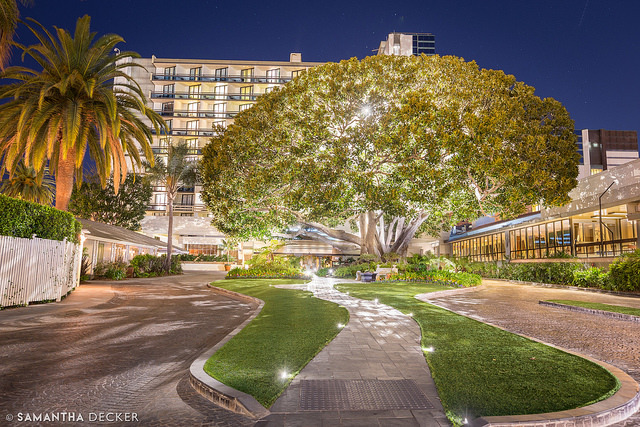 It's maybe not so much the hotel itself that's so great to photograph, but the gorgeous fig tree out front. 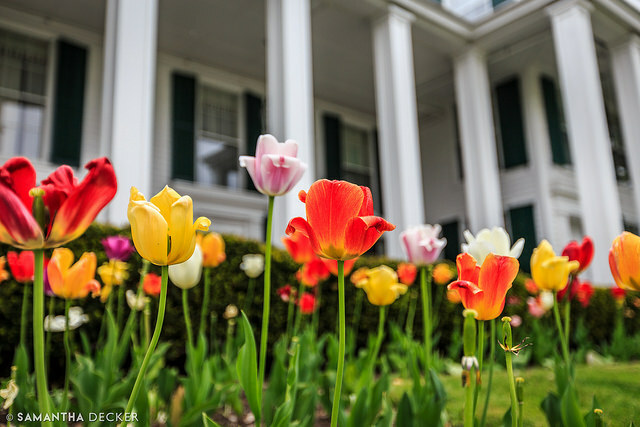 I love the tulips out in front of the Equinox in the spring. 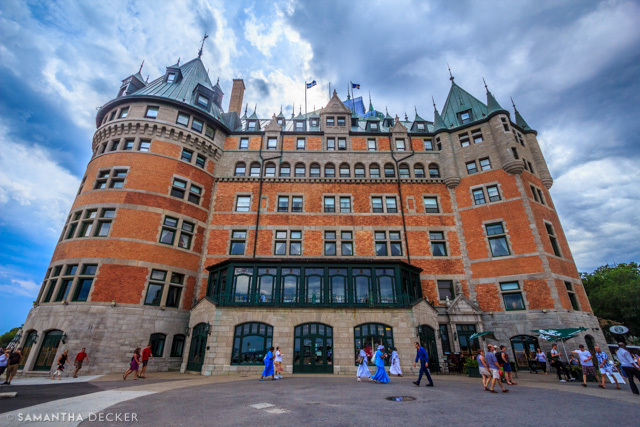 The Château Frontenac has a very unique and easily recognizable exterior. Walt Disney World's flagship resort has a Victorian theme. So which hotel was your favorite?